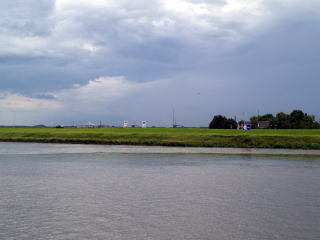 This was my first sight-seeing in Eurupe. 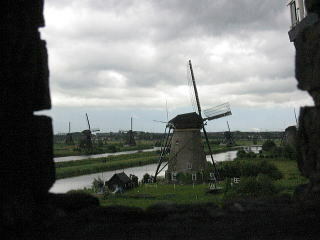 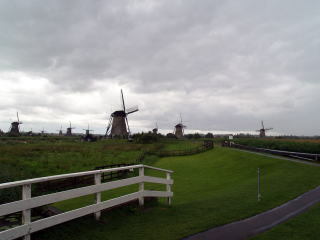 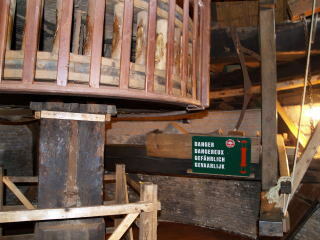 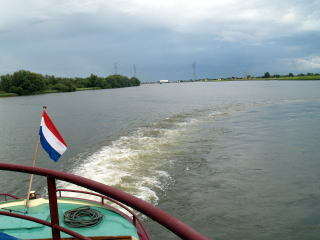 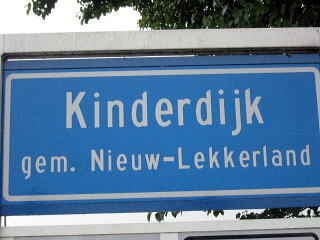 We went to KINDERDIJK, was very famous as the world heritage site, on June 16,2007. 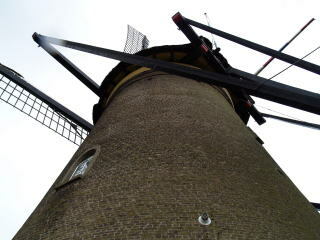 We hava a few transportation to KINDERDIJK from the central Rotterdam. 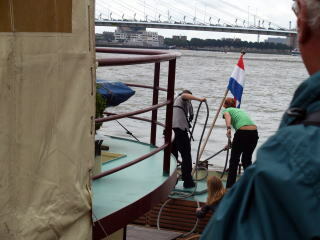 We took the cabin cruiser tour going down the MAAS this time. 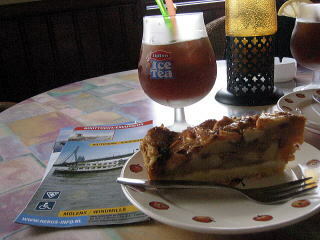 (the reqired time 3 hours, €12.5). 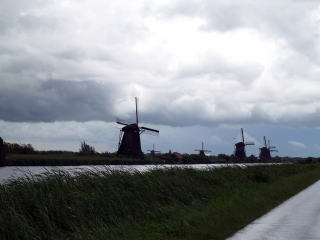 It took about one hour from Rotterdam to Kinderdijk. 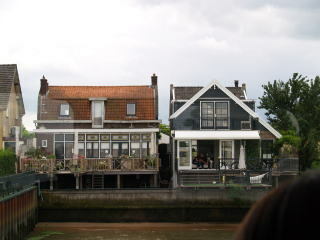 During that time, we enjoyed to have an apple pie, to look out riverside beautiful Dutch houses of window etc....and then arrived soon. 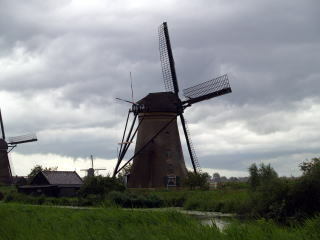 KINDERDIJK, 19 windmills has been declared UNESCO Wordl Heritage Site since Dec 1997. 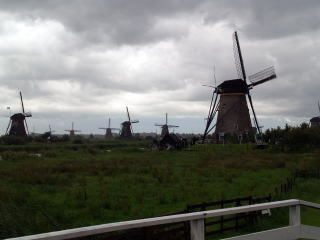 It was really fantastic place. 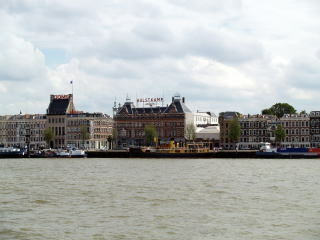 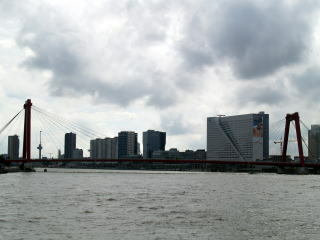 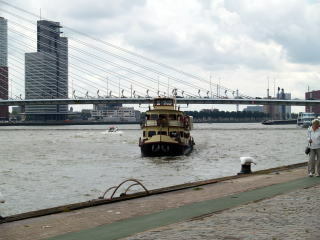 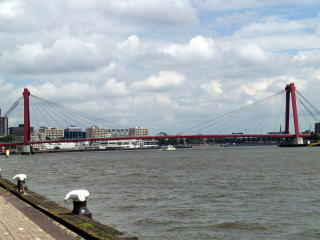 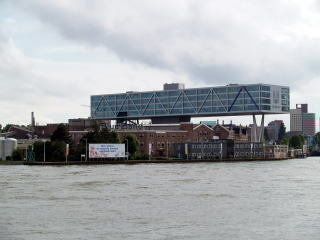 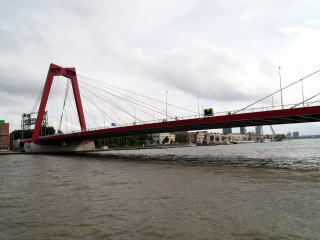 We was moved to know that CITY and NATURE could live together among about 10km from Rotterdam. 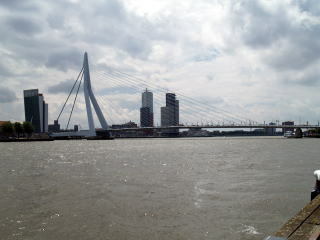 Daily departure rotterdam 10:45, 14:45. 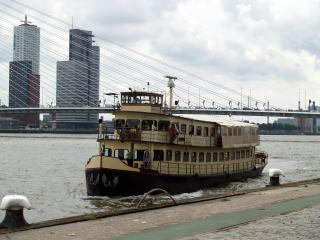 Easily accesible with public transport, metro station "Leuvehaven" or tram 8 or 20.